Newly updated contemporary luxury 4 bed townhome on the highly desirable gated resort of Regal Palms in Davenport. Regal Palms is a secure gated community, located in Davenport on highway 27, close to highway i-92, and only minutes from interstate 4. 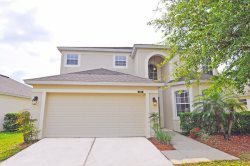 This gives you access to all the main travelling routes in central Florida so that you stay very close to everything Orlando has to offer! What about a supermarket you might ask, Regal Palms offers a mini market for small purchases, as well as tickets. A short walking distance away you will also find Berry Town Center, were you can find restaurants, a Supermarket, Gas Station and so much more. Orlando International Airport is only a 30 minute drive away. Disney and all Orlando attractions are only 10-20 minutes away making it easy to reach all the amusement parks or many of the outstanding shopping Malls and outlet stores. Regal Palms itself offers guests all the amenities of a luxury resort: secure gated community, fully equipped and luxurious Clubhouse, landscaped grounds, all of this, as well as the resort pool, lazy river and spa, fitness center, volleyball court, tiki bar and children's playground and picnic/barbecue facilities are available to all guests free of charge during your stay. For golf lovers, a simple walk across the street will lead straight to Highlands Reserve and their magnificent golf course, but if you feel like driving a 5 minute drive will take you to more golf courses including the newly completed Champions Gate. If that's still not enough there are also 20 courses to be found within a 20 mile radius! 457 La Mirage is where the luxury of a resort meets the peace and comfort of your very own home. The combination of facilities at your doorstep, world-renowned attractions a short distance away, superb dining options, malls and outlets aplenty and the peace and quiet of your private townhome make for a complete vacation. You will find inside this high end townhome: 4 bedrooms (2 Master Suites), 3.5 bathrooms (2 en-suite) Fully equipped kitchen Air conditioning and heating through-out Flat Screen Tv’s Cable television Free Wireless Internet Laundry facilities, Washer & Drier & Ironing Facilities Free linen and towels provided during your stay A pin coded lock box for the villa keys is provided Everything was carefully thoughtout to make our guests feel at home! Regal Palms is waiting, so come have a vacation of a lifetime with us! The Regal Palms Resort itself features: large pool, lazy river, water slide, jacuzzi, gym, bar & grill, Banana Jacks and Spa treatments* (*additional charge) The Regal Palms Resort features 3 and 4 Bed Townhomes, all the homes have master King Bedroom en-suite, full kitchen and living areas, so why not combine the independence of a pool home and the facilities of a hotel on your next visit to Florida by staying at Regal Palms.